Royal Dutch Shell posted soaring profits on Thursday and defended deep-water oil production, arguing it has an "important role" to play despite the Gulf of Mexico disaster that rocked rival BP. The Anglo-Dutch oil giant reported a 15-percent jump in net profit to 4.39 billion dollars (3.38 billion euros) in the second quarter to June as it slashed costs and raised output. Shell's performance contrasts with that of BP, which on Tuesday posted a second-quarter loss of 16.9 billion dollars -- the biggest-ever quarterly loss for a British company -- after the devastating Gulf of Mexico oil spill. "This is a good performance from Shell, despite today's challenging macro-economic conditions. 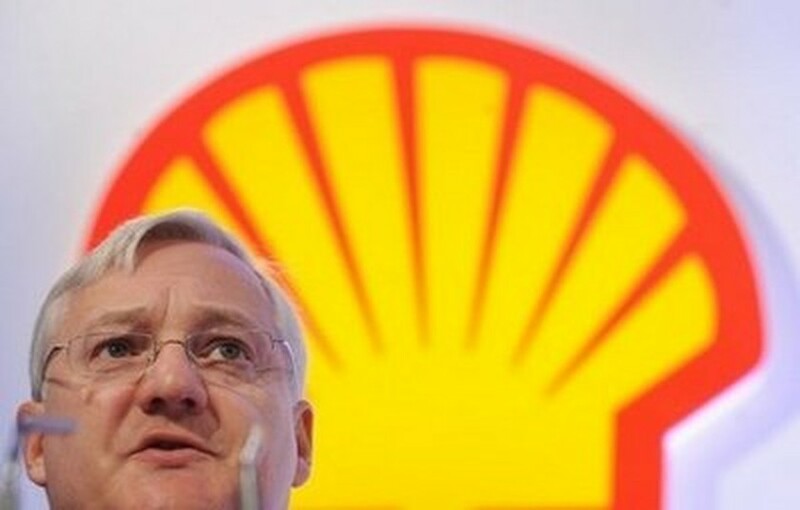 We are on track for growth," Shell chief executive Peter Voser said in a statement. Peter Voser, chief executive of Royal Dutch Shell, speaks during a press conference in London in March 2010. Voser also offered his sympathy to all those affected by the Gulf spill -- the worst environmental disaster in US history -- but insisted that there remained an "important role" for deep-water oil production. "The BP ... blow-out and the related Gulf of Mexico oil spill is a tragedy for everyone affected," Voser said. "We were all shocked by the loss of life there, and the on-going and wide-spread impacts from the spill." He added: "World-wide deep water production has an important role to play in the global energy supply equation, with potential for production growth with supply diversity, and sustained investment in technology, jobs and services. "The recent announcement of Shell's participation in a new, one billion dollar Gulf of Mexico oil spill containment system is an example of where we are working with governments and partners to improve the industry's capabilities," Voser added. BP has been mauled by Washington since the Deepwater Horizon rig exploded on April 20, killing 11 workers and unleashing millions of gallons of crude into the sea and onto the US Gulf coast. BP chief executive Tony Hayward on Tuesday said he will step down in October, while claiming he had been "demonised and vilified" over the spill. 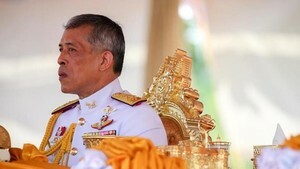 It has taken more than three months to stem the flow, while up to four million barrels of crude have escaped. The catastrophe has destroyed tourism, fishing and oil industries in the five US Gulf coast states and left BP facing soaring clean-up and compensation costs. Shell on Thursday said that its net profit, when adjusted for the value of inventories of oil and gas, soared to 4.21 billion dollars in the three months to June. This was above expectations of 4.02 billion dollars in a Dow Jones Newswires poll of 12 analysts. Shell's production meanwhile increased by five percent to 3.1 million barrels of oil equivalent per day. "We are delivering on our strategy. Shell's cost programmes have delivered over 3.5 billion dollars of annualised underlying savings," said Voser. "Our investments have underpinned a five percent increase in oil and gas production for the quarter." In London trade, Shell's 'A' shares closed 0.20 percent down at 1,783.50 pence on the FTSE 100 index of leading companies, which finished 0.11 percent lower at 5,313.95 points.